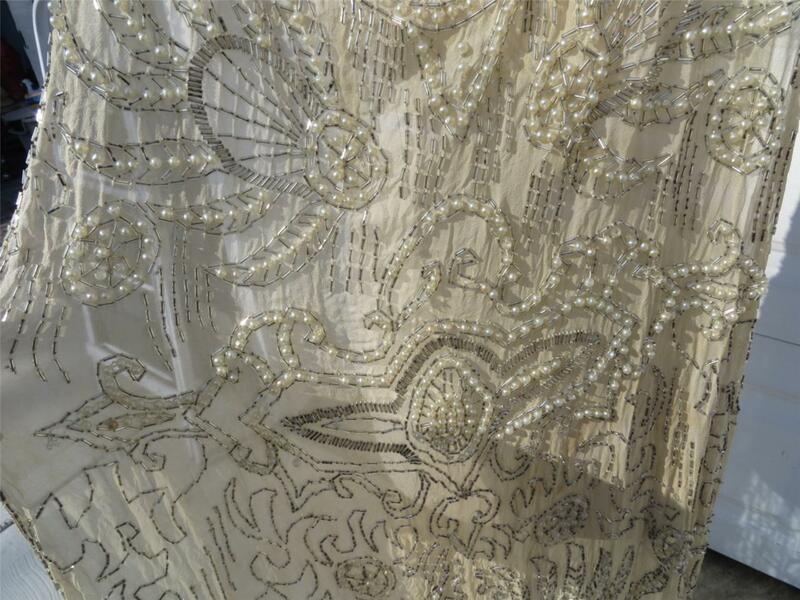 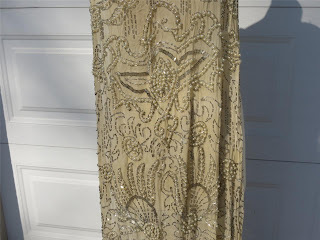 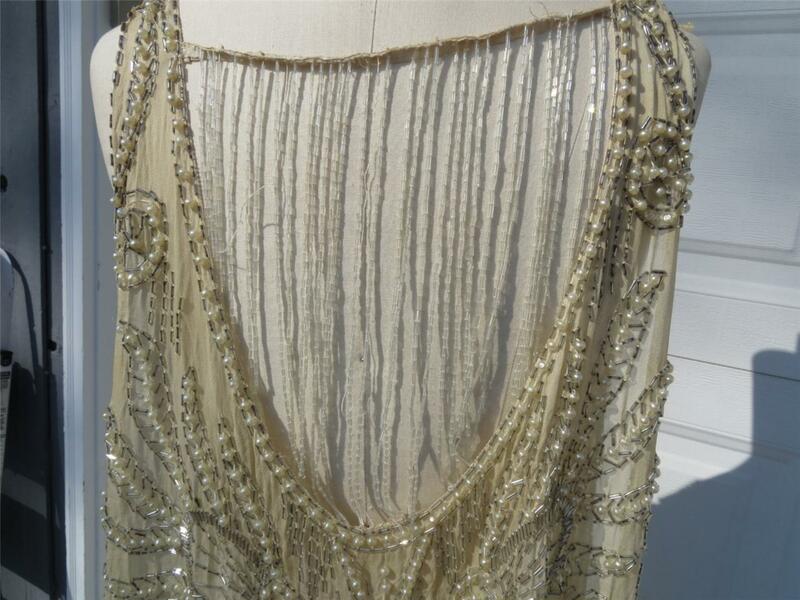 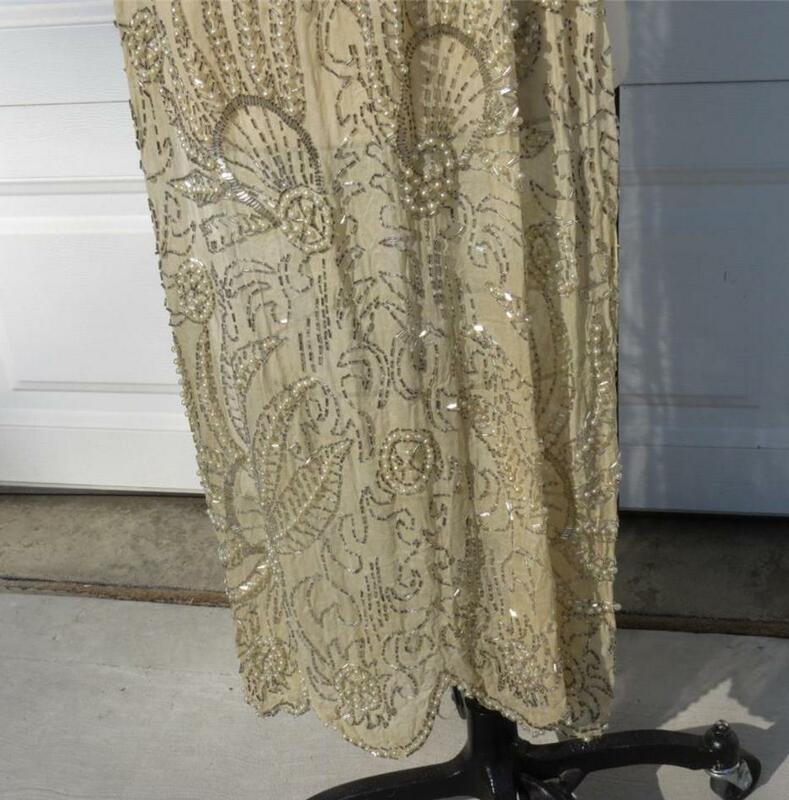 A estate antique 1930's cream silk crepe heavily beaded Sheath Evening gown dress.It has a low scoop neckline in the front as well as the back.The back has long strands of buggle beads.The sides are open on both sides.There are two snaps on one side but nothing to attach it too.No snaps on the other. There are some pearls missing around the neckline pic 11 with some loose threads with a occasional missing bead 98 to 99% are intact.There are a couple of broken strands of bugle beads on the back shown in pic 7 & 8.The inside of the back of the dress of the bugle beads are in pics 22 & 23.Didn't find any stains has a slight storage odor & will need to be cleaned. 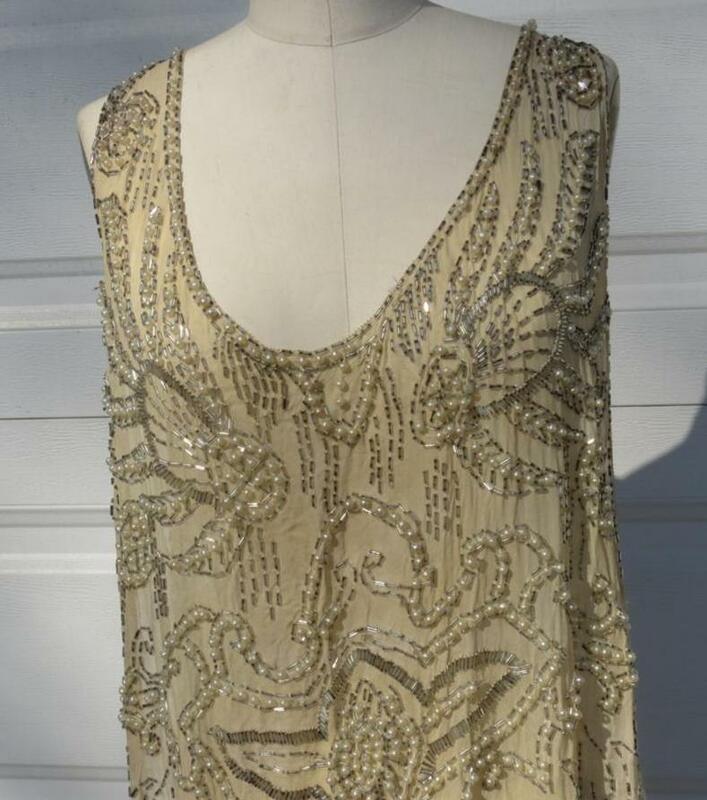 Not 1930's, but most likely, early 1920's! 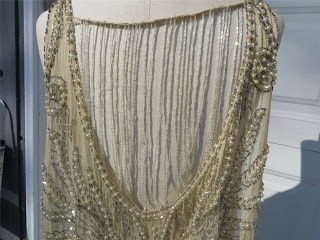 Love the back detail!